Oh how I adore Cheese Fondue. For me this brings back so many childhood memories of New Years Eve Parties, Social Gatherings, and just fun times. For me, the flavors bring me right back to being a child and the memories of family events. We all have those foods that take us back, and for me, Cheese Fondue with my family does just that. Of all the many recipes I’ve tried or eaten in restaurants, I still prefer this family favorite. Nothing beats that taste of home! 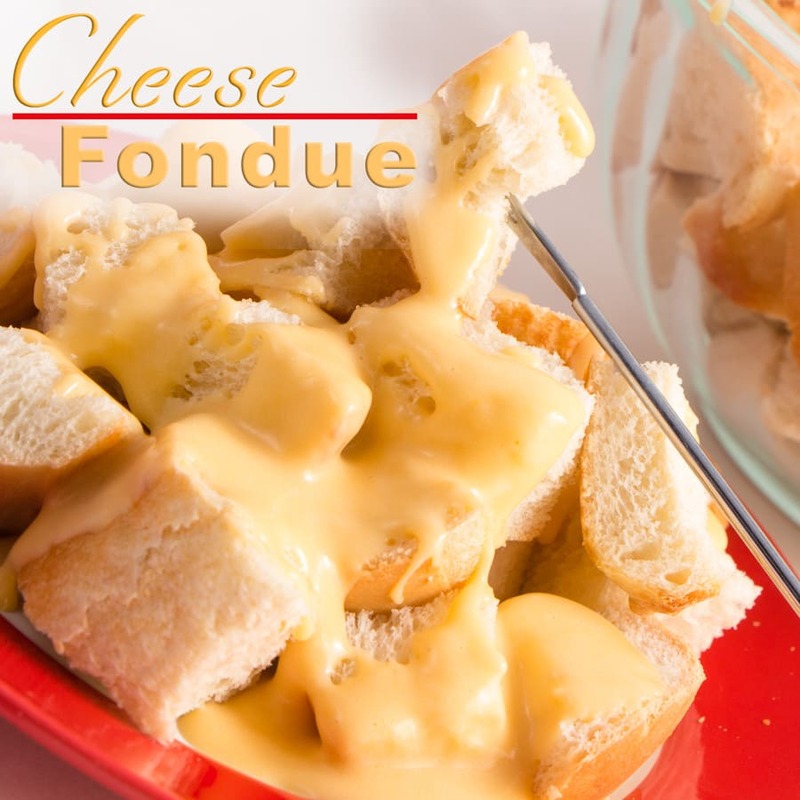 This recipe for Cheese Fondue is a creamy thick fondue as it uses a milk base instead of a broth or wine. 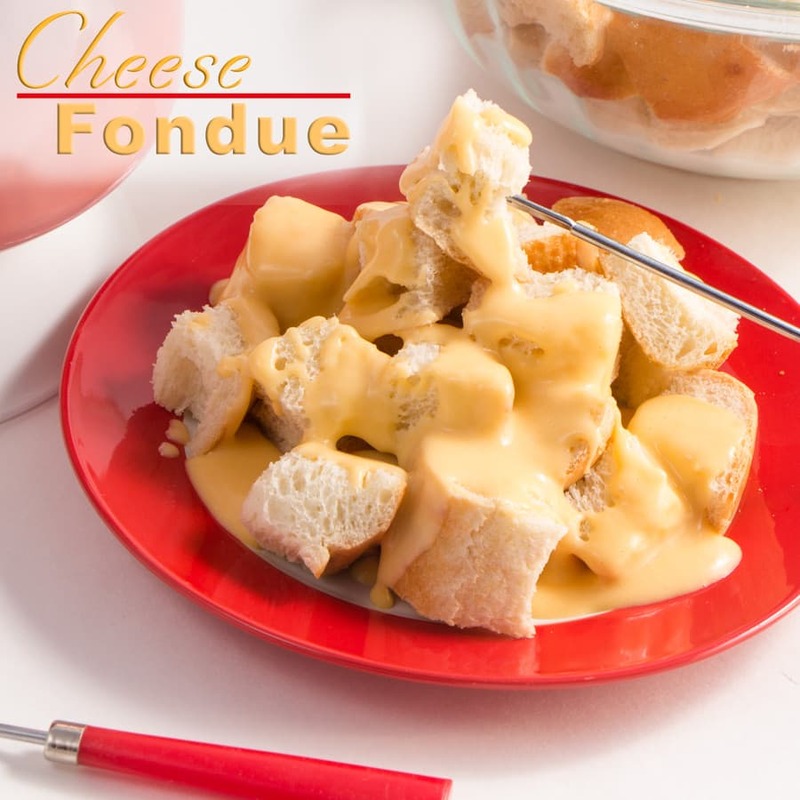 Regardless how you like your fondue, give this recipe a try. You just might like it! Habits die hard sometimes and this recipe is one of those! 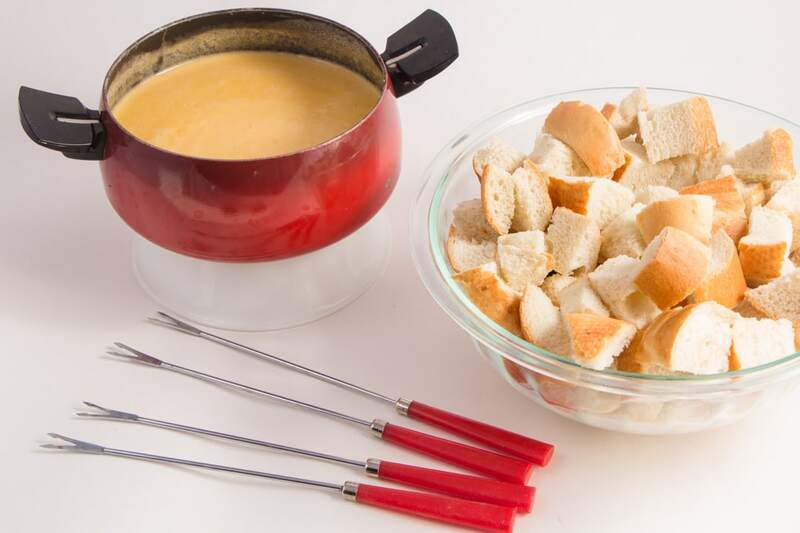 Making Cheese Fondue takes only moments to whip it up. The good news, is even if you don’t have a Fondue Pot, you can make this on the stove top in a sauce pan. In a blender place all the ingredients and blend it on high. This will mix in all the flour which is used to thicken the sauce. This makes it so you won’t get clumps. Brilliant, right? It also breaks up the cheese into smaller pieces so they will melt faster, because in my home, when this recipe is started I have a pack of wolf cubs that surround me waiting until it’s ready. Pour the mixture into your Fondue Pot and set to a medium/high heat. Then watch it and stir it. It will cook just like a gravy would and will get thicker over time. It’s important to stir it so it doesn’t burn or stick to the bottom. Choose your favorite french bread loaf or fresh veggies. 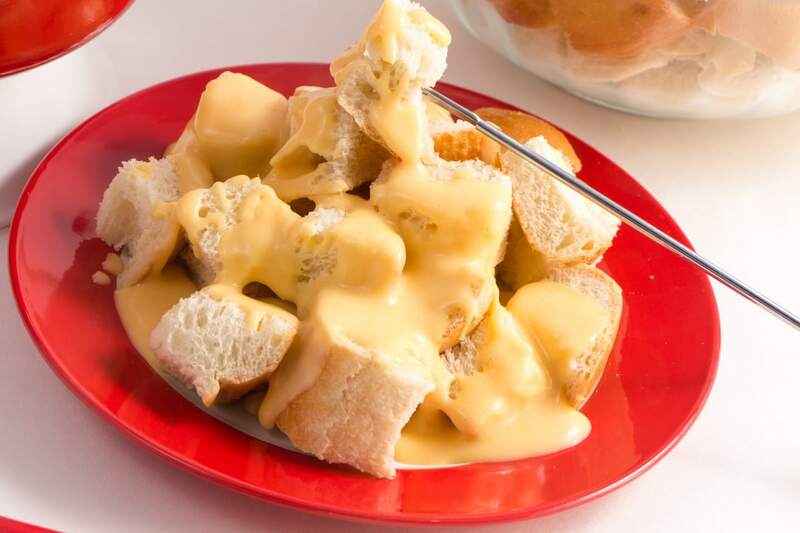 Our tradition is to use French Bread, however broccoli, cauliflower, carrots, bell peppers, etc are wonderful and I mean wonderful in this Cheese Fondue. 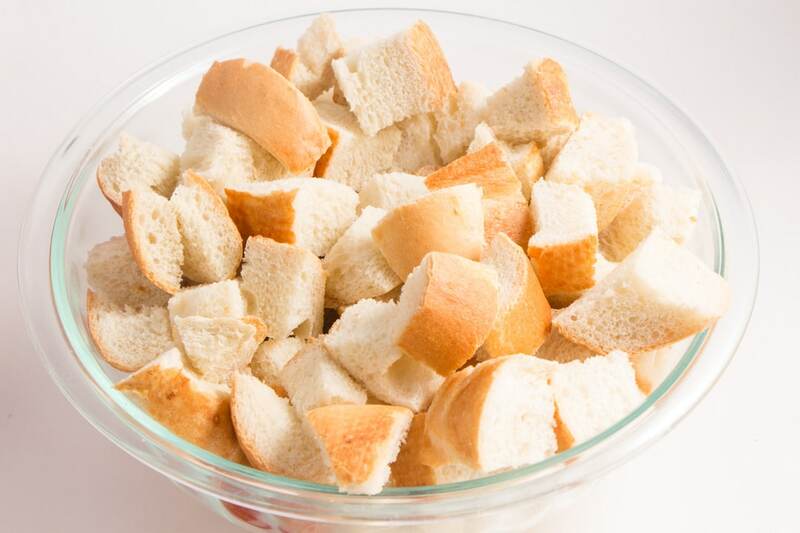 For the bread, I like to cut the loaf in slices and then cut each slice in half. Then I rotate it and cut it into fourths. This gives me a nice size cube and perfect for one mouthful without being too large. It’s easy to tell when the sauce is ready because everything starts to melt together all at once as you stir and pretty quickly it thickens right up. Mmmm Mmm good! This sauce will get very thick if you continue to cook it, so when it’s the desired consistency you are hoping for, remove it from the heat. As it cools it will thicken even more, but the great news is you can thin it down pretty quickly with a few tablespoons of milk. Should there be any leftovers that you save for the next day. Just reheat the sauce with some milk and it will smooth right out and be perfect. Save this recipe! Easy to Pin in Pinterest. 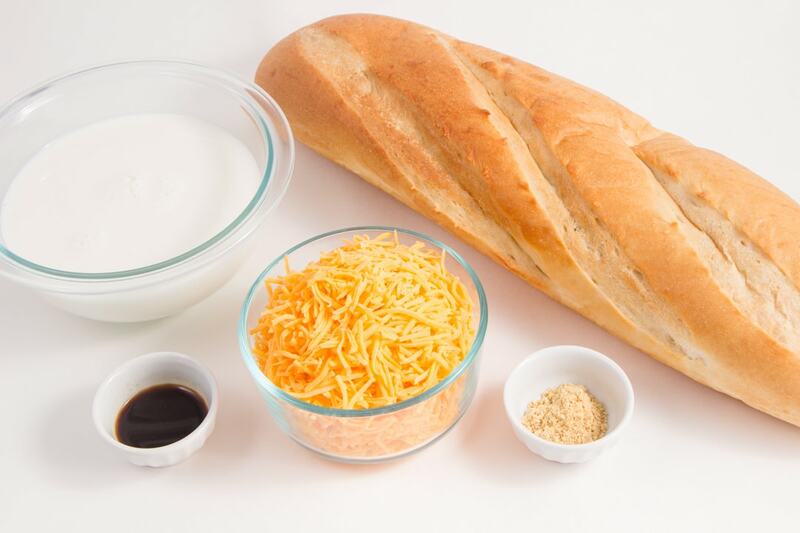 In a blender pour Half and Half, dry mustard, worcestershire sauce, flour and cheese. Blend until smooth. Pour mixture into Fondue Pot and heat over medium/high heat. This will cook similar to gravy. Stir sauce as it thickens so it doesn't burn to the bottom of the pan. Sauce will get thicker as it cools. Remove from heat when you reach desired consistency. 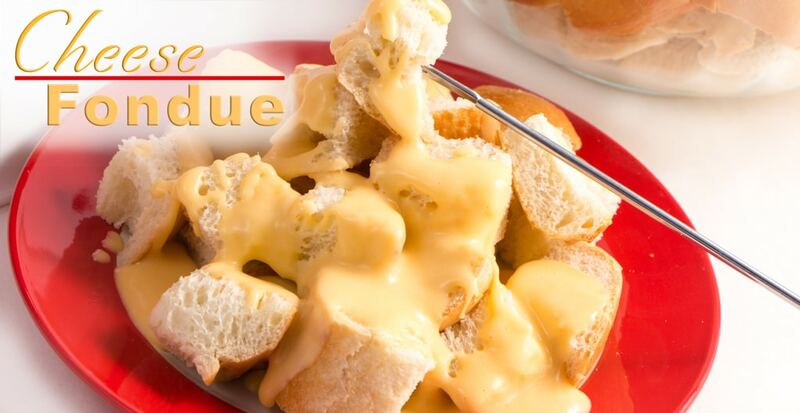 Serve with bread cubes or vebbies and enjoy! To Reheat: add a few tablespoons of milk to reheat sauce. Sounds so silly but I never really knew I could MAKE cheese! This is going to be trouble! 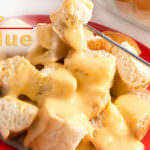 We love Cheese Fondue… It’s so good over bread or your favorite veggies! THIS looks so delicious! I’m definitely going to try it out! Thanks for sharing!! Looks so delicious. All that cheesy goodness. this looks so good!! Definitely have to try this! I have never tried making fondue before! But, now I want to try! This. Looks. So. Good! I had a fondue pot a long while back, and now I’m wishing I hadn’t given it up! This looks delicious and it’s such a fun dish for a night in! Yes! This does bring back lots of childhood memories. I love making fondue and sharing with family. Omg I LOVE fondue of any kind – this is perfection. This looks delicious! I definitely will put this on my list of recipes to try! And I am dying to put it on broccoli! I love fondue! It’s so fun to have with friends around the table. I’ve never thought of dipping veg into the fondue! What a great idea! Definitely going to try this! Sounds delicious.